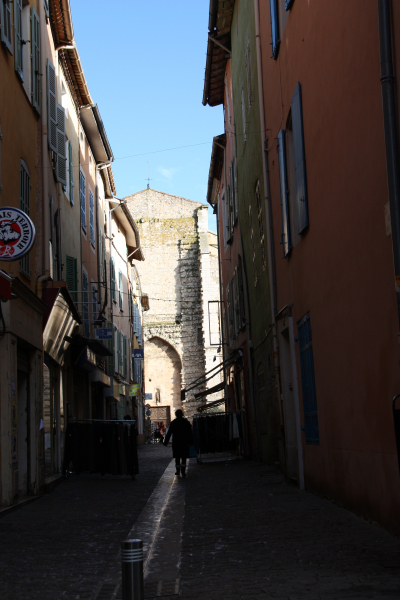 The town Saint Maximin was the centre of the early Christianity in Provence and in France. 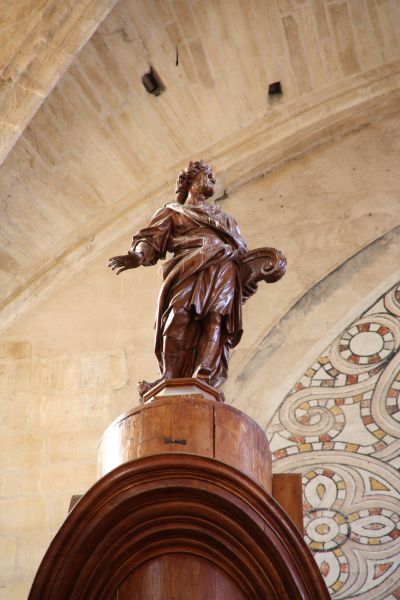 The monumental royal basilica was raised by the Charles IInd d'Anjou to the honor and glory of Mary Magdalene. 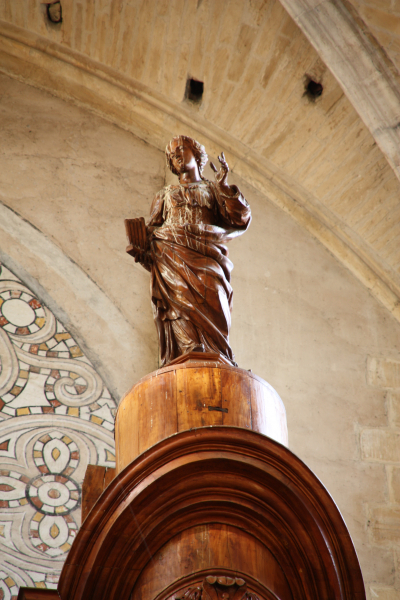 According to the ancient and venerable tradition this lady well known from the Gospels cameto Provence to preach the Good News, obeying the Jesus' command "Go forth and preach the Gospel to all creatures...". 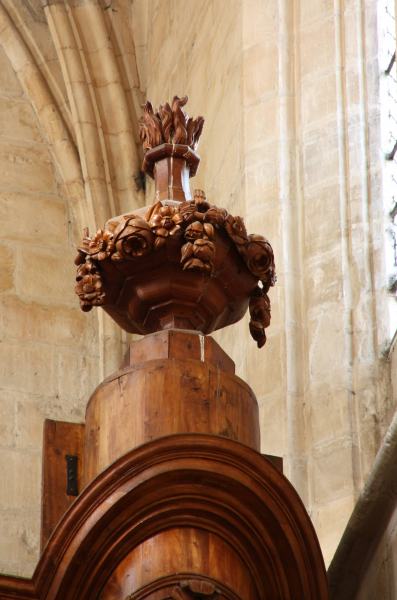 After many fruitful years, she was buried exactly in the place where the basilica stands today, at the place where Saint Maximin, the first bishop of Aix-en-Provence raised an oratory. 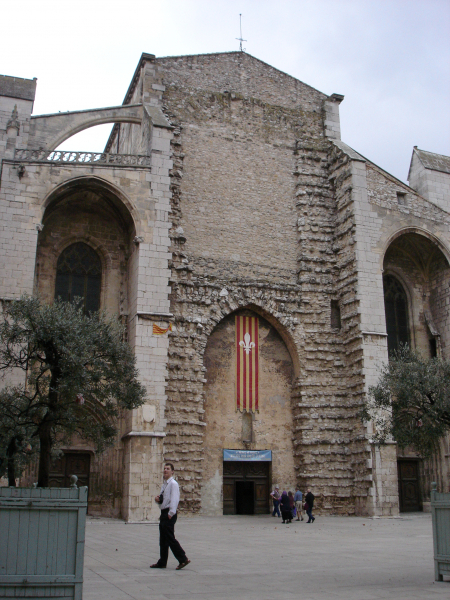 After 1279 when the holy reliquiae of St. Mary Magdalene were found, the present basilica was constructed in 1295-1296, together with the adjacent dominicians convent. 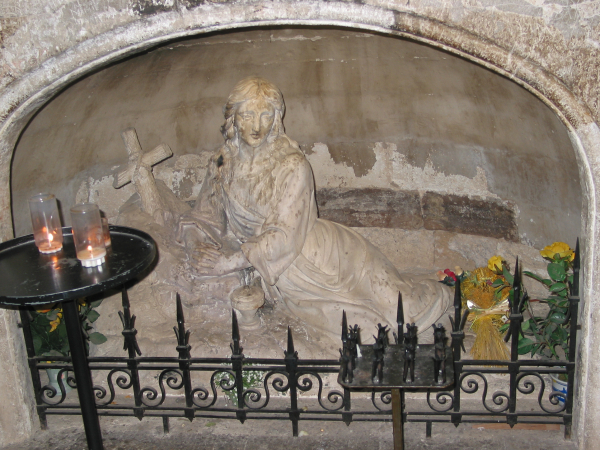 Her tomb became a pilgrimage place. 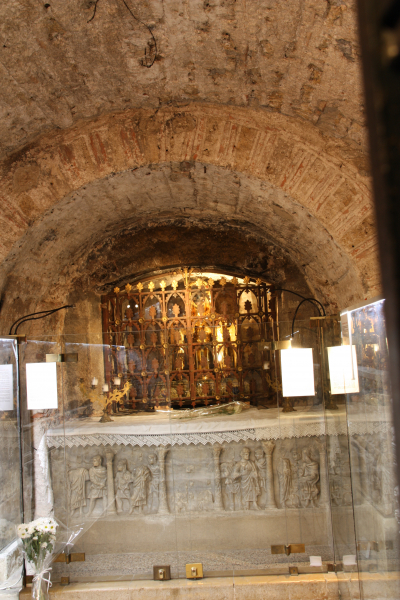 The reliquiary with the scull of St. Mary Magdalene may still be venerated in the crypt of the basilica (pictured on the right). 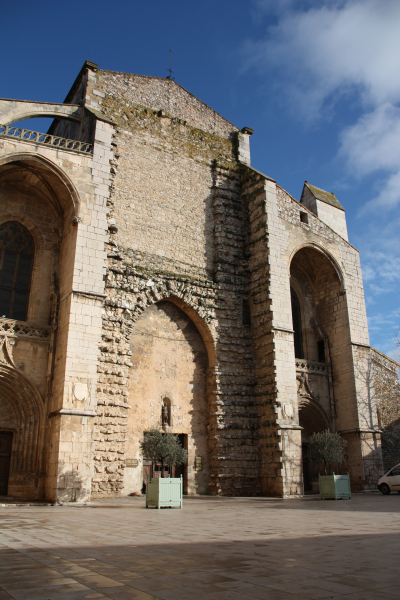 The basilica itself is said to be the highest in Provence with its 33 meters and it hides many treasures and pieces of art which witness its past glory. 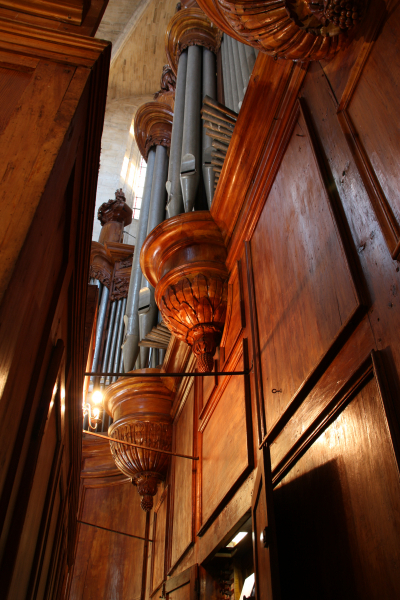 On the western gallery above the main entrance, the magnificent and large "double sixteen feet" organ was built by friar Jean-Esprit Isnard and his nephew Joseph in 1772-1775. 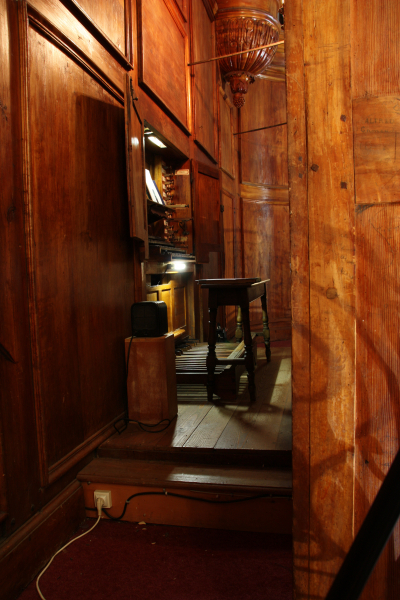 It is one of very few French historical organs which miraculously survived the French revolution. 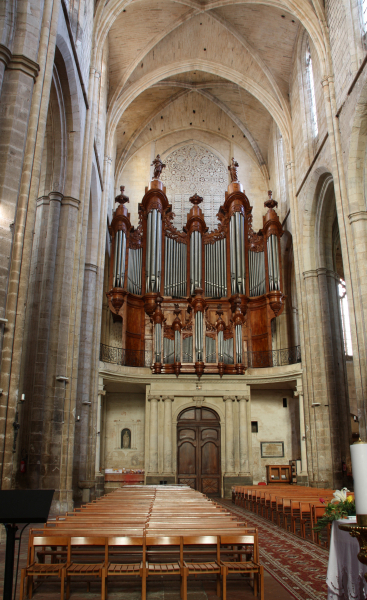 The legend says that when the revolutionars came to the basilica to destroy its furniture including the organ, the organist of that time, Mr. Forcade, played the revolutionary song "Marseillaise" in front of the revolutionary authorities. 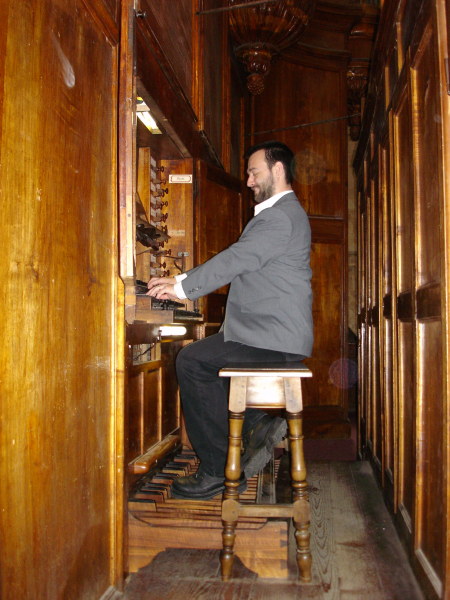 It saved the organ from the demolition. However, the dominitians were expelled, the place lost its importance for some time due to the "secularisation" of the French republic. So, being an organ in a small countryside village during the 19th century, it was fortunately saved from all the "modernising" tendencies of that time. 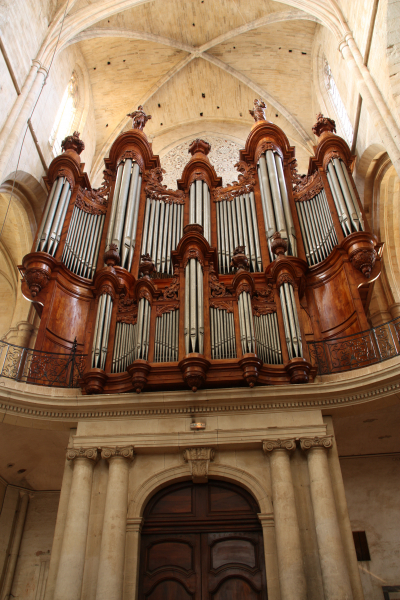 As the result, this organ remains one of the exceptional French large instruments whose complete original material made by Isnard is preserved in its entirety: 2960 pipes, except that the original wooden pipes (the bass octaves of the bourdons) are used only for display now, since they were substituted with metal bourdon pipes during the last reconstruction. 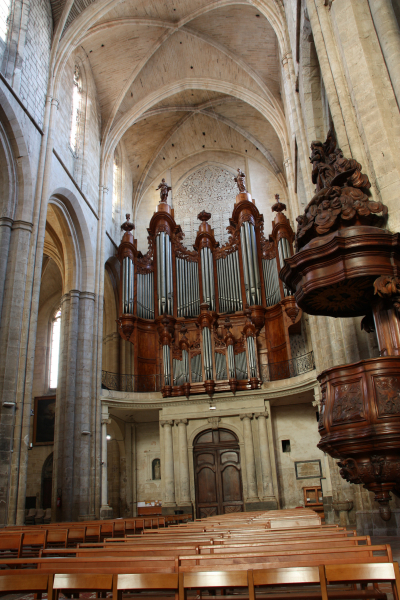 The last overhaul of the organ was done in 1986-1991 by M. Yves Chabourdin. 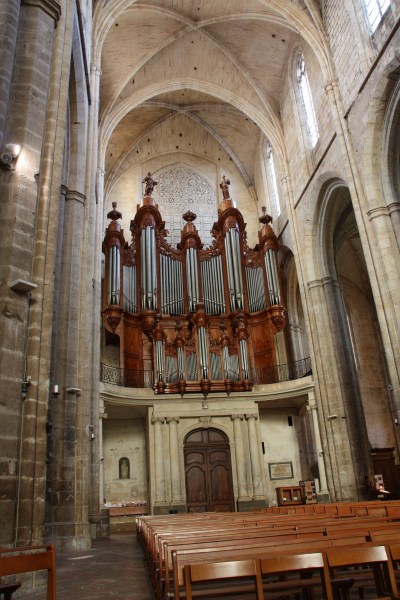 It is necessary to express our deep gratitude to the authorities concerned with the St. Maximin organ: Mr. Gabriel Rinaudo, Maire de St. Maximin, Madame Véronique Guérin Adjointe à la culture, Mr. Pierre Bardon titulaire de l'orgue, Mr. Bridonneau Président des "Amis de la Basilique de St. Maximin", Jean-Jacques Le Coz who accompanied us all the time we were in France and gave us unbelievably enthusiastic support and Francois Blonay who was encharched with the communication with the authorities on behalf of us. 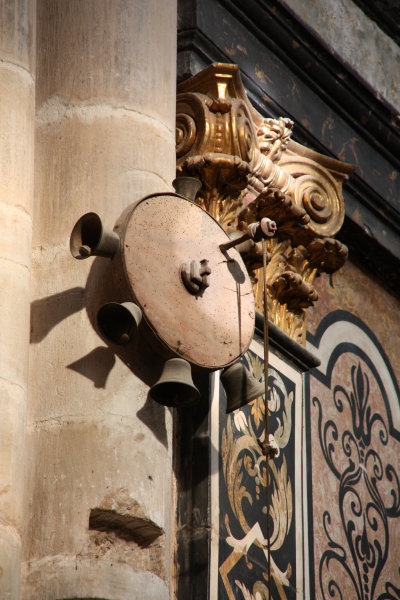 Les Grandes Orgues. Basilique Sainte-Marie-Madeleine Saint-Maximin-La-Sainte-Baume. Edisud: Aix-en-Provence, 2000. Michel Moncault: The Basilica Saint Mary-Magdalene and the Royal Convent. Edisud: Aix-en-Provence, 2003. J. R. Cain - R. Martin - J. M. Sanchez: Les Isnard. Une révolution dans la facture d'orgues. Edisud: Aix-en-Provence, 1991. 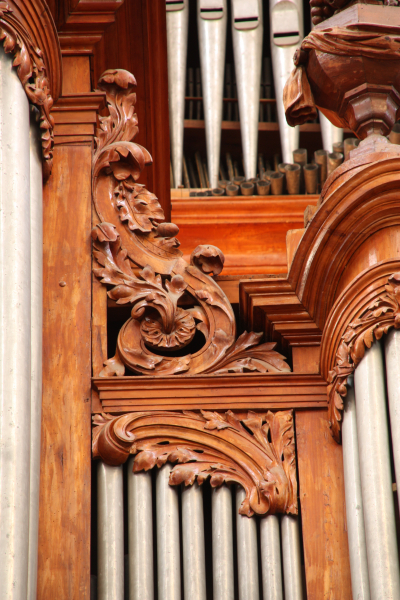 Registration tips for the French baroque music by Patrique Larhant. 4-manual French classical instrument. 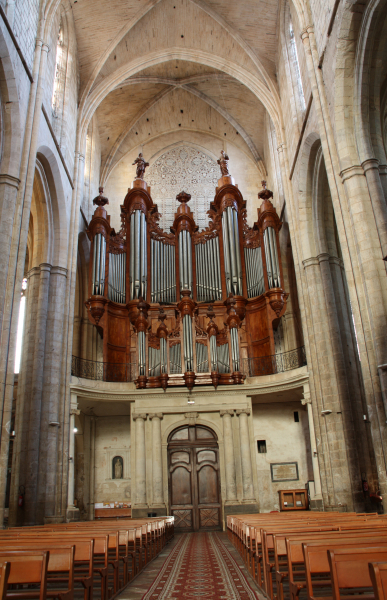 Composition: Grand Orgue, Positif, Récit, Raisonnance, Pedal. 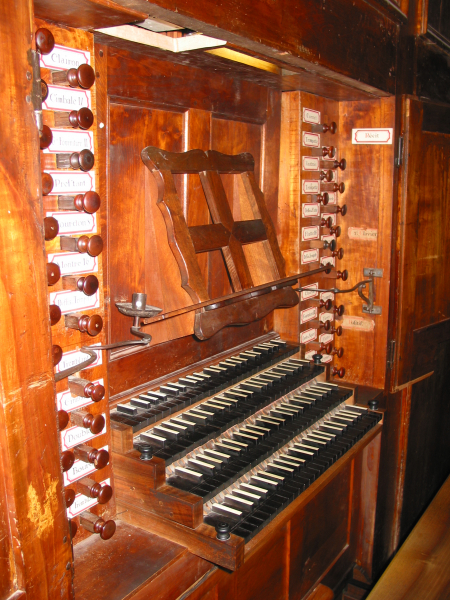 The Raisonnance division is used as a complement to the Grand Orgue. It provides it with the Bombard division (Bombarde 16', 2 Trumpets 8', Clairon 4') and Flutes (16', 8', 4'). These stops are also shared to the pedal division. In addition, solo stops are present on the Raisonnance as a kind of a second Récit: Trumpet en chamade, Flute and Cornet. The instrument offers unusual number of reed stops. There are 14 reed stops out of 43! 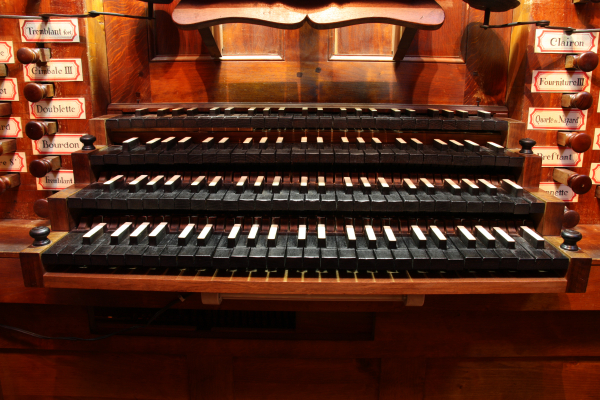 This organ has unusual voicing where a kind of complementarity can be observed. The reed stops have a common feature of being weak towards the top of the compass. This is a natural phenomenon. To complement this, the flue stops are attenuated towards the bottom while they are brilliant at the top of the compass, so a kind of ballance with reeds is achieved. 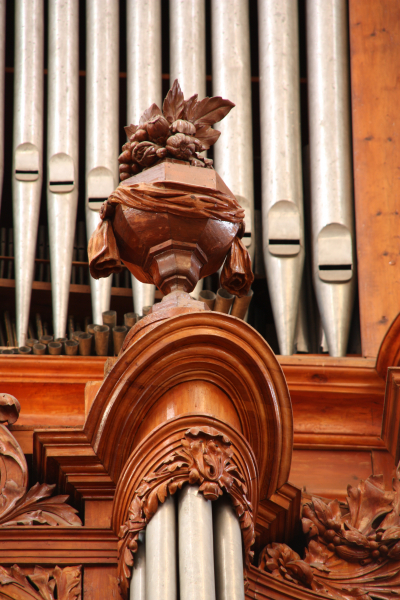 Nevertheless, the organ would benefit from a revision of the voicing of many flue pipes. A number of pipes had to be digitally corrected. The samples 24 bit depth and 48 kHz resolution. Reverberation up to 7 seconds. The virtual console fits into 1280 x 1024 px screen resolution. Split stop jambs available. Temperament chart provided featuring the proprietary St. Maximin tuning (mean tone modified). 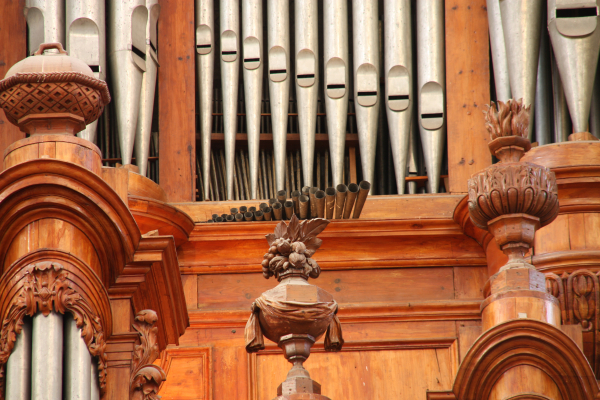 It use is highly recommended instead of the so called "original organ tuning" in Hauptwerk, which contains also the casual mis-tunings at the time of the organ recording. 14 generals (combination) pistons added to facilitate user registration. The sample set is offered in the surround and wet version. These are combined into one ODF. Please, see the figure below to learn how to assign the front and rear ranks to the audio outputs. If you have no rear audio channels, you will like to disable the rear ranks completely, to obtain the standard "wet" sound of the sample set. 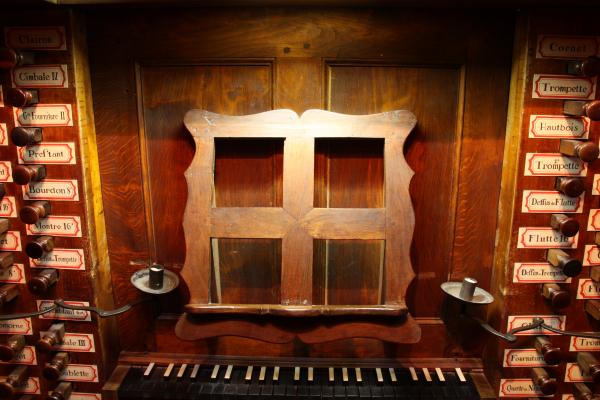 The drawstop placement in the original version reflects perfectly the placement of the drawstops of the original instrument. The Tremblant fort is permanently disabled on the real instrument. Its placement suggests as if the positif should have two tremblants, the doux and the fort. However, the strong tremblant was used only in conjunction with the Grand Jeu of the full organ, and therefore it does not make sense on the positif. We therefore assigned it to the G.O., Raisonance and Récit instead, where it makes sense. The tremblant fort is strong and quick tremblant, which can hardly be used for anything else except the Grand Jeu, where the ancient treatises recommend its use. It provides a tremendous, storm-like shake of the full organ. 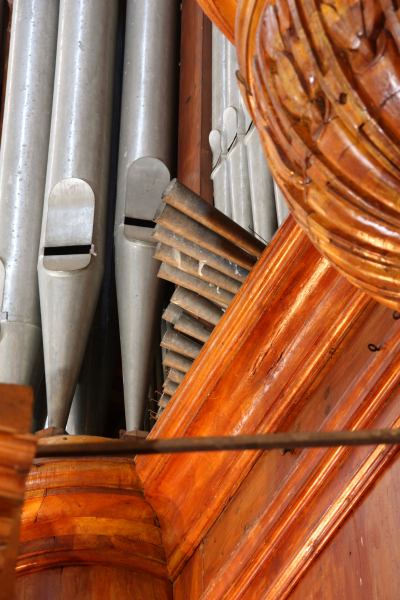 The original organ has the lowest C# mute. We have chosen to supply this lowest C# by using adjacent pipes repitched. The general pistons which were added to the virtual console are purely artificial, there are no such devices on the real organ. On the voicing tab, you may see a special slider for the Positif Flute 8 detuning: this is ment to provide an undulating stop if desired, which may be used in conjunction with the Bourdon 8 of the positif to create a celeste effect. 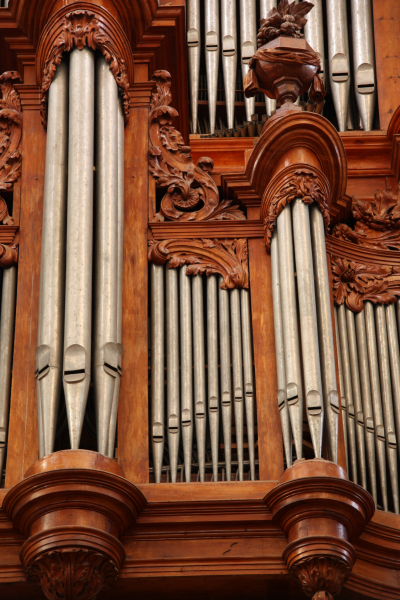 Again, this is purely virtual addition, although similar effect could be achieved on the original instrument, if the organist draws the hadle of the Flute only partially. An independent Pedal division was formed in the extended version, re-using the stops from the Raisonnance. Also, the flute on the positif was changed to 4', according to the original contract with the organbuilder, where it is written that the flute should sound unison to the Prestant, i.e. at 4'. It nicely complements the flute chorus on the Positif: Bourdon 8 + Flute 4' + Quarte 2'. A lot of intra-manual and pedal couplers was added virtually to the extended version, to facilitate the manual handling. In addition to that, the division labels function at the same time as ventils (Sperrventil) and may be used to mute the entire division quickly. The Ist, IInd, and III.rd manuals may be upwards-coupled together by dragging the keyboard one over another. A lot of intramanual couplers added. Data Packages changed 18. 04. 2017: a couple of misbehaving tones and releases in the Raissonance Flutte 8 improved. Cette version est désormais conforme à l'instrument original. Cela permet d'utiliser le pédalier accouplé aux trois claviers principaux pour souligner les cadences dans les Grands Jeux Français, ce qui n'était pas possible avec les seuls jeux du clavier de "Raisonnance". 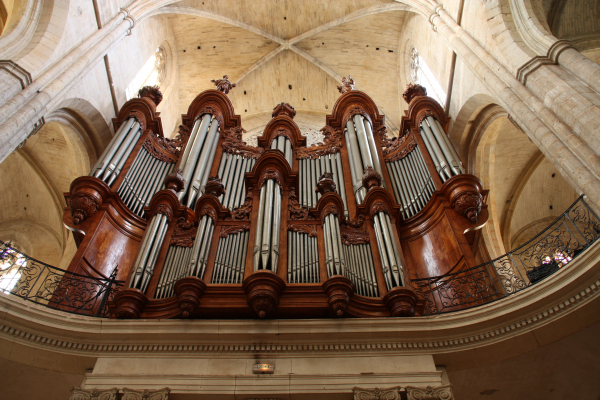 Cela permet également d'utiliser une registration qui était certainement l'un des objectifs du Frère Isnard : accoupler le clavier de Raisonnance au grand orgue, pour jouer à la pédale, par exemple dans les fugues à 5 de Nicolas de Grigny, la grande tierce du grand orgue et d'accompagner ainsi le cornet de récit à la main droite et le cromorne du postitif à la main gauche.